No.1 Megh History Information Service Providers In The World. List of notified Scheduled Castes : Meghs Registered as scheduled caste in India Census Report 2001. 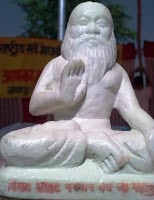 "संत सतगुरु भगत मुंशी राम जी महाराज (श्री एम.आर. भगत) Sant Satguru Bhagat Munshi Ram Ji Maharaj (Sh.M.R. Bhagat)"
Shaheed Bhagat Amar Nath,Jammu.The Great Soldier Of Megh Samaj Who Sacrified his life for the Resevation in J&K. 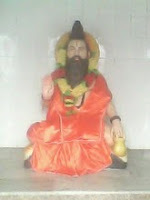 Late Baba Jagdish Ji Maharaj,Gaddi, Bhagata Sadh,Keran,Jammu. Bhagat Mahasabha Meeting at Jalandhar. http://www.meghhistory.blogspot.com does not represent or endorse the accuracy or reliability of any of the information/content of news items/articles mentioned therein. The views expressed therein are not those of the owners of the web site and any errors / omissions in the same are of the respective creators/ copyright holders. Any issues regarding errors in the content may be taken up with them directly.